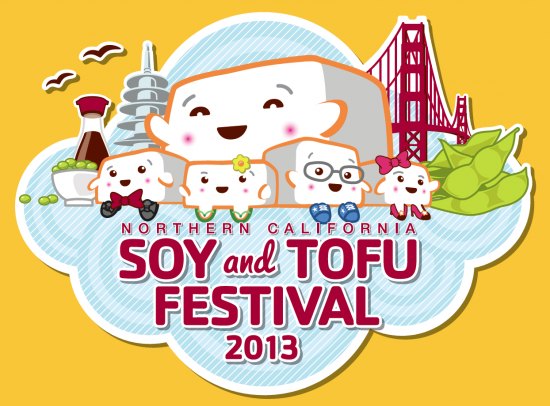 SAN FRANCISCO — The third annual Northern California Soy and Tofu Festival will be held on Saturday, June 1, from 11 a.m. to 5 p.m. in San Francisco Japantown’s Peace Plaza and Buchanan Mall, Post and Buchanan streets. It will feature various soy-related vendors, free samples, an educational component highlighting the various uses of soy, live performances, audience participation games and the Soy and Tofu Dessert Competition. New this year will be a children’s activity area and nonprofit information booths — including a bone marrow registration drive — in the expanded area in the Buchanan Mall. Co-emcees are NBC Bay Area reporter George Kiriyama and KTVU-TV reporter Jana Katsuyama. While the festival is free and open to the public, proceeds from sponsorships, vendors, some food sales and a raffle help the Nichi Bei Foundation continue to publish The Nichi Bei Weekly — the first nonprofit ethnic community newspaper of its kind in the country — and its website, www.nichibei.org. The grand prize of the raffle is $500, with a first prize of an Apple iPad mini and many other prizes, including handcrafted items. Food vendors include Kikkoman, Hodo Soy Beanery, San Jose Tofu, Rau Om, cruncha ma-me, Nakayoshi Café, and the food trucks JapaCurry and The Chairman Truck. The educational component will feature talks on the making of tofu and yuba, tofu misozuke (miso-cured tofu), and soy candles that double as massage oil and lotion. Entertainers include Curt Yagi and the People Standing Behind Me, GenRyu Ensemble, Jiten Daiko and the Francis Wong Ensemble, among others. The festival will also feature the popular mascots Tofu Panda and Tofu Ninja. The festival will put a spotlight on the critical need to register people for the Be the Match Registry, as the Asian American Donor Program will hold a marrow registration drive and Chinese for Affirmative Action Executive Director Vincent Pan will speak about his successful donation of marrow to save a 12-year-old’s life. Pan will speak right before the Soy and Tofu Dessert Competition at 2 p.m., and then serve as a competition judge. Major sponsors include Sustaining Sponsor The Henri and Tomoye Takahashi Charitable Foundation, Kikkoman, PG&E, California Bank & Trust, and Union Bank, as well as community-based organizations, businesses and individuals. Gold Media Sponsors are NBC Bay Area and KTSF-TV, while MYX TV, Korea Times, Philippine News, J Weekly and Nichi Bei Weekly round out the pan-Asian Media Sponsors. For more information, visit www.soyandtofufest.org. As the board of the historic Nichi Bei Times decided to close the newspaper after 63 years in September 2009, a group of staff and contributing writers, media professionals and community leaders set out to rebuild in the pioneering spirit of Japanese immigrants. They established the Nichi Bei Foundation, an educational and charitable nonprofit organization, as a means to support community organizations, shed light on community issues, and document the community’s history. Just one week after the last edition of The Nichi Bei Times rolled off the presses, the first edition of The Nichi Bei Weekly was published as the first nonprofit ethnic newspaper of its kind in the country. The Nichi Bei Foundation also organizes an annual Films of Remembrance event, screening films related to the forced relocation and incarceration of the Japanese American community during World War II. Inspired by a community-serving historical legacy dating back to The Nichi Bei Shimbun in 1899, the Nichi Bei Foundation and Nichi Bei Weekly have a simple yet profound mission: to keep the community connected, informed and empowered.